You just need to expand the amount of vanilla tools if you often extract resources. 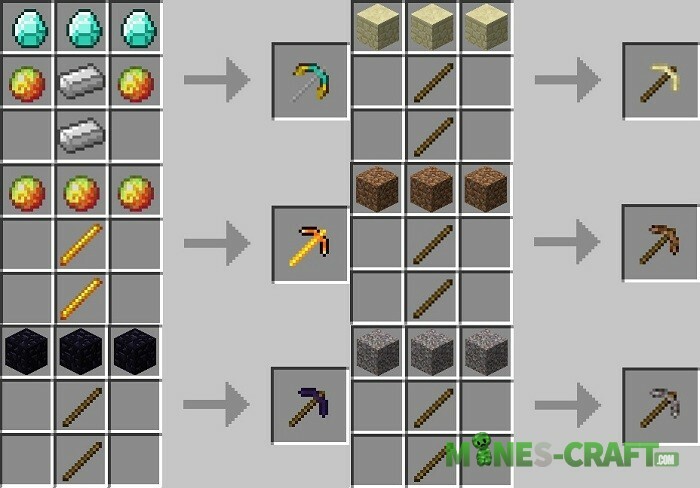 The Mo ‘Pickaxes Mod has only one task: to add many new pickaxes, each of which has a unique set of properties and a specific recipe. 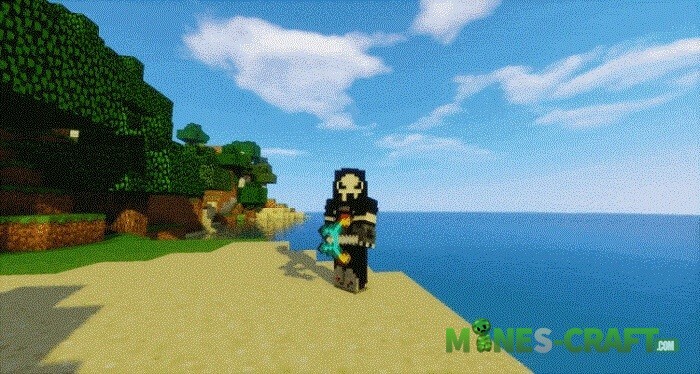 Minecraft without mods is a pretty dull game if you spent more than a month in it. 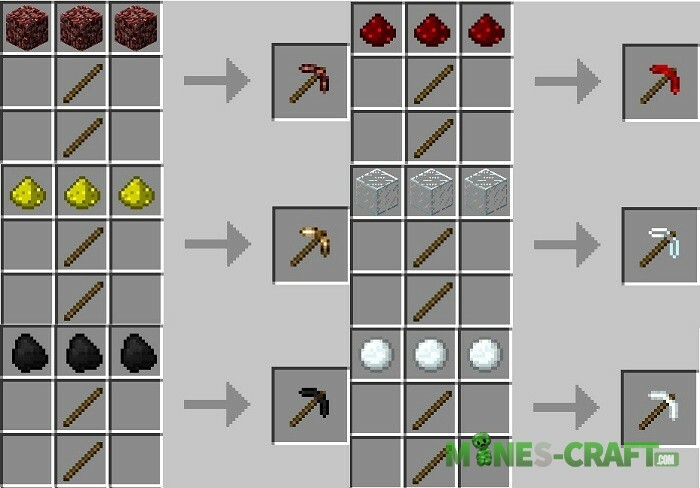 To enjoy not only the extraction of ore but also of crafting, any player will recommend you download a couple of interesting mods. Therefore, you can start with this one, because after installing the mod you’ll get more than half a hundred new picks.